Bernhard Hochadel[1, 2]. He was born on 12 Mar 1806 in Bavaria, Germany[3, 1]. Emigration Bet. 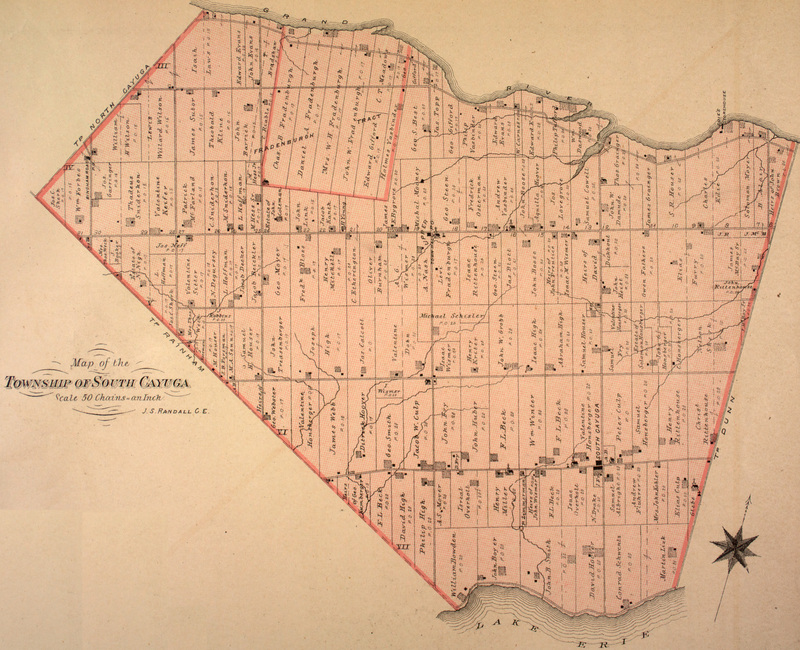 1854–1858. His death on 22 Mar 1878 in Swormsville, Erie, New York, USA (Burial St. Mary's Church Cemetery, Swormsville, NY). Burial on 25 Mar 1878 in St. Marys Church, Swormville, Erie County, New York. Will on 04 Feb 1879 in Erie County Surrogate's Court, Buffalo, New York (Case Number 25293). Martin Johannes Hochadel. He was born 1794 in Bavaria. He died 1856 in Clarence Center, Erie, New York, USA. Johann Hochadel. He was born 1799 in Bavaria. Generation 2: Bernhard Hochadel and Magdalena Liesing. They had 9 children. Bernhard Hochadel-2 (Unknown Hochadel-1)[1, 2]. He was born on 12 Mar 1806 in Bavaria, Germany[3, 1]. Emigration Bet. 1854–1858. His death on 22 Mar 1878 in Swormsville, Erie, New York, USA (Burial St. Mary's Church Cemetery, Swormsville, NY). Burial on 25 Mar 1878 in St. Marys Church, Swormville, Erie County, New York. Will on 04 Feb 1879 in Erie County Surrogate's Court, Buffalo, New York (Case Number 25293). Town of Amherst, Erie County, NY, at the age of 71 years, Dec 2, 1877; filed for probate Feb 4 1879. I give and bequeath to my wife Magdalena Hochadal the sole use of all my property real and personal during the term of her natural life. After the death of my wife the said Magdalena Hochadal I give and bequeath to my daughter Clara Hochadal the sum of two hundred dollars out of either real or personal property left after the decease of my said wife Magdalena Hochadal. I give and bequeath to my daughter Clara Hochadal after the death of my said wife Magdalena Hochadal one cow one bed and bedding one bureau. I give and bequeath the balance of my property real and personal, after the death of my said wife Magdalena Hochadal to my children, Christina Therring, Clara Hochadal, Mary Magdalena Reigle, Mathias Hochadal, Joseph Hochadal, Elizabeth Tatu, Casper Hochadal, Margaret Tatu. To be divided equally between them share and share alike. And I do hereby appoint Adam Schworm of the town of Clarence, County of Erie State of New York to be my executor of my last will and testament. In witness whereof, I have hereunto set my hand and seal to this second day of December in the year one thousand eight hundred seventy seven. Magdalena Liesing. She was born on 01 Dec 1808 in Bavaria[5, 3, 1, 4, 2]. Residence 1860 in Clarence, Erie, New York. Burial on 17 Dec 1878 in St. Mary’s Church, Swormville, Erie County, New York. Her death on 18 Dec 1878 in Swormsville, Erie, New York, USA (Burial St. Mary's Church Cemetery, Swormsville, NY). Magdalena Hochadel[6, 7]. She was born on 08 Apr 1840 in Bavaria[6, 4, 7]. She married Jacob Casper Riegle. They were married 1859 in Erie County, New York . Residence 1880 in Clarence, Erie, New York, United States . 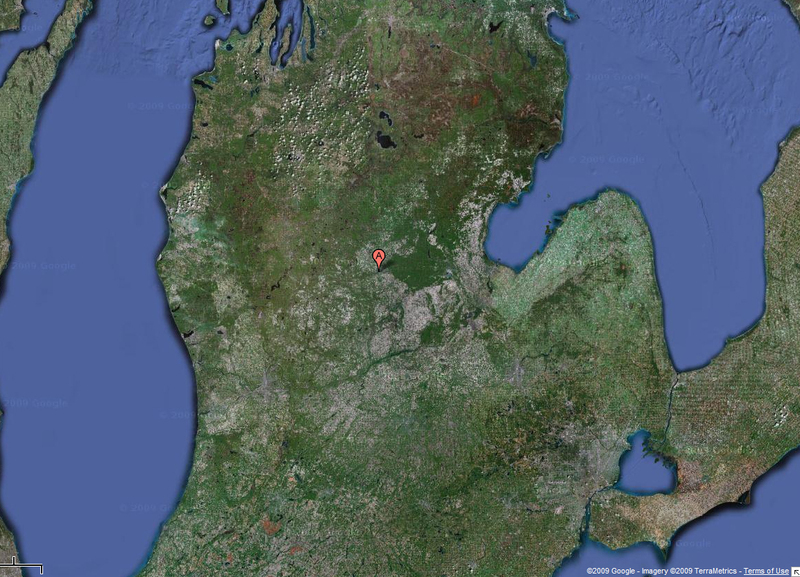 She died on 02 Mar 1914 in Mt Pleasant, Isabella Co, MI. Joseph Hochadel[9, 3]. He was born Sep 1844 in Germany. Arrival 1853. He married Celestine Tatu. They were married on 08 Jun 1869 in St. Mary's Roman Catholic Church, Swormsville, NY. Residence 1910 in Lockport Ward 4, Niagara, New York. John Hochadel. He was born 1832 in Bavaria. Clara Hochadel. She was born 1842 in Bavaria. Residence 1870 in Clarence, Erie, New York. She was also known as Leana. Notes for Clara Hochadel: General Notes: Possibly Mary Magdalena? Twin to Magdalena? Elizabeth Hochadel[1, 11]. She was born 1846 in Bavaria. She married Joseph Luciano Tatu. They were married Abt. 1864. Residence 1880 in Amherst, Erie, New York, United States. She died on 04 Aug 1893 in Lincoln, Alcona County, Michigan. Casper Hochadel[12, 13, 14, 15]. He was born May 1850 in Germany. Arrival 1851 [12, 14]. He married Jennifer E Hochadel. They were married 1876 . Residence 1920 in Elgin, Erie, Pennsylvania. He died Bet. 1920–1930 in Elgin, Erie, Pennsylvania. Margaret Hochadel. She was born 1854 in Bavaria. She married Frank Sylvester Tatu. They were married on 05 Nov 1872. Christina Hochadel. She was born Oct 1835 in Bavaria. She married Henry Thering. They were married on 08 Jan 1857 in Erie County, New York. Residence 1880 in Clarence, Erie, New York, United States. Mathias Hochadel[17, 18, 19]. He was born Jun 1843 in Bavaria. Arrival 1849. He married Fannie Ehrman. They were married 1868. Residence 1870 in Conneaut, Erie, Pennsylvania. Magdalena Hochadel-3 (Bernhard Hochadel-2, Unknown Hochadel-1)[6, 7]. She was born on 08 Apr 1840 in Bavaria[6, 4, 7]. Residence 1880 in Clarence, Erie, New York, United States. She died on 02 Mar 1914 in Mt Pleasant, Isabella Co, MI. 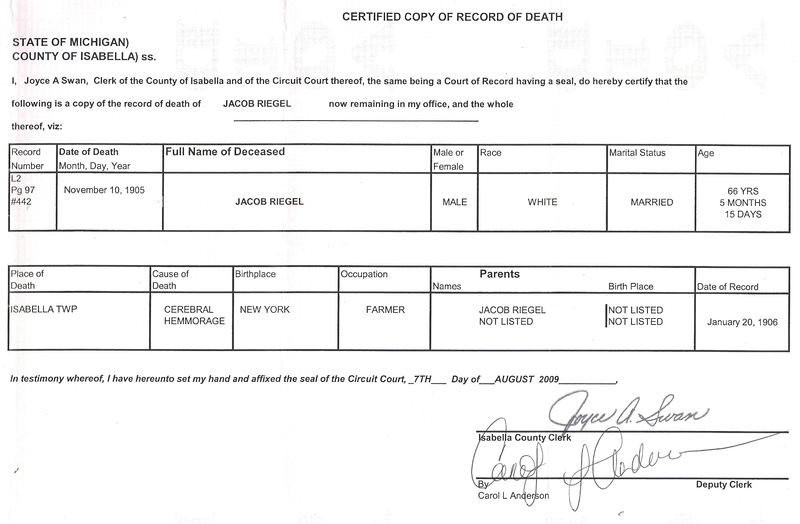 Jacob Casper Riegle is the son of Jacob Riegle and Eve Diller[21, 22, 23, 7]. He was born May 1839 in New York. Residence 1850 in Clarence, Erie, New York. He died on 10 Nov 1905 in Mt Pleasant, Isabella Co, MI. Rose Elizabeth Riegle. Her birth on 12 Jul 1861 (Clarence, Erie Co, NY). She married Matthias Kirchman. They were married on 15 Jan 1878. Residence 1880 in Lockport, Niagara, New York, United States. She died on 09 May 1938. Lewis Riegle. He was born on 20 Sep 1859. Bernhard Casper Riegle[25, 26]. He was born on 26 Mar 1863 in Swormville, Erie Co, NY[26, 27, 28]. Christening on 09 Apr 1863 in Swormville, Erie Co, NY. He married Ida Lucinda Yager. Their marriage on 18 Nov 1890 (Flint, Genesee Cty, Michigan). Residence 1930 (Denver, Isabella Cty, MI). Census 1930 (Denver, Isabella Cty, MI). His death on 05 May 1944 (Coleman, Midland Cty, Michigan) . Fanny Riegle. She was born 1865. Mary Riegle. She was born 1869 in New York. Residence 1880 in Clarence, Erie, New York, United States. Joseph Riegle. He was born 1860. Residence 1880 in Clarence, Erie, New York, United States. Benjamin Riegle. He was born 1853 in New York. Residence 1880 in Clarence, Erie, New York, United States. Daniel Riegle. He was born 1872 in New York. Residence 1880 in Clarence, Erie, New York, United States. Ania Riegle. She was born 1876 in New York. Residence 1880 in Clarence, Erie, New York, United States. Margaret Riegle*. She was born May 1878 in New York. Residence 1880 in Clarence, Erie, New York, United States. She died on 03 Jun 1887 in Isabella, Michigan, USA. Susan Riegle[7, 29]. She was born Sep 1880 in New York[7, 29, 30]. Residence 1900 in Isabella, Isabella, Michigan[7, 29]. She died Bet. 1910–1920 in Michigan. Generation 3: Joseph Hochadel and Celestine Tatu. They were married on 08 Jun 1869 in St. Mary's Roman Catholic Church, Swormsville, NY. They had 4 children. Joseph Hochadel-3 (Bernhard Hochadel-2, Unknown Hochadel-1)[9, 3]. He was born Sep 1844 in Germany. Arrival 1853. Residence 1910 in Lockport Ward 4, Niagara, New York. Celestine Tatu is the daughter of Peter Tatu and Josephine Clare[9, 3]. She was born Jan 1850 in New York. Residence 1910 in Lockport Ward 4, Niagara, New York. Frank J Hochadel. He was born Jan 1874 in New York. Residence 1900 in Lockport Ward 1, Niagara, New York. William E Hochadel. He was born Aug 1879 in New York. Residence 1900 in Lockport Ward 1, Niagara, New York. Margaret R Hochadel. She was born Oct 1885 in New York. Residence 1900 in Lockport Ward 1, Niagara, New York. Josephine E Hochadel. She was born Jun 1889 in New York. Residence 1900 in Lockport Ward 1, Niagara, New York. Generation 3: John Hochadel and Mary Unknown. They had 1 child. John Hochadel-3 (Bernhard Hochadel-2, Unknown Hochadel-1). He was born 1832 in Bavaria. Theresa Hochadel. She was born 1864 in Amherst, Erie County, New York. Generation 3: Joseph Luciano Tatu and Elizabeth Hochadel. They were married Abt. 1864. They had 8 children. Elizabeth Hochadel-3 (Bernhard Hochadel-2, Unknown Hochadel-1)[1, 11]. She was born 1846 in Bavaria. Residence 1880 in Amherst, Erie, New York, United States. She died on 04 Aug 1893 in Lincoln, Alcona County, Michigan. Joseph Luciano Tatu[1, 11]. He was born Sep 1848 in Erie County, New York[1, 11]. Residence 1880 in Amherst, Erie, New York, United States. He died on 13 Oct 1926 in Mt Pleasant, Isabella County, Michigan. Frank Tatu. He was born Dec 1883 in Michigan. William Tatu. He was born Oct 1885 in Michigan. Clara Tatu. She was born Jul 1893 in Michigan. Albert George Tatu. He was born on 15 Jul 1889 in Erie County, New York. Joseph Edward Tatu[1, 11]. He was born on 17 Nov 1879 in Amherst, Erie County, New York[1, 11]. Residence 1880 in Amherst, Erie, New York, United States. Elizabeth Tatu[1, 11]. She was born 1877 in New York[1, 11]. Residence 1880 in Amherst, Erie, New York, United States. Anna Tatu[1, 11]. She was born 1875 in New York[1, 11]. Residence 1880 in Amherst, Erie, New York, United States. Mary Tatu[1, 11]. She was born 1872 in New York[1, 11]. Residence 1880 in Amherst, Erie, New York, United States. Generation 3: Casper Hochadel and Jennifer E Hochadel. They were married 1876. They had 11 children. Casper Hochadel-3 (Bernhard Hochadel-2, Unknown Hochadel-1)[12, 13, 14, 15]. He was born May 1850 in Germany. Arrival 1851[12, 14]. Residence 1920 in Elgin, Erie, Pennsylvania. He died Bet. 1920–1930 in Elgin, Erie, Pennsylvania. Jennifer E Hochadel[12, 14, 31]. She was born May 1856 in Pennsylvania[12, 14, 15, 31]. Residence 1920 in Elgin, Erie, Pennsylvania. Charles B Hochadel[13, 14]. He was born Nov 1887 in Pennsylvania[13, 14]. Residence 1910 in Conneaut, Erie, Pennsylvania. Matthias H Hochadel[13, 14]. He was born Jan 1885 in Pennsylvania. Residence 1910 in Conneaut, Erie, Pennsylvania. Margaret Hochadel. She was born 1875 in Elgin, Erie, Pennsylvania. Rose Hochadel. She was born 1878 in Elgin, Erie, Pennsylvania. Frank Hochadel. He was born 1883 in Elgin, Erie, Pennsylvania. Nora E Hochadel. She was born 1889 in Pennsylvania. Residence 1910 in Conneaut, Erie, Pennsylvania. Josie M Hochadel. She was born Feb 1881 in Pennsylvania. Residence 1900 in Conneaut, Erie, Pennsylvania. Jana M Hochadel. She was born Feb 1890 in Pennsylvania. Residence 1900 in Conneaut, Erie, Pennsylvania. Maude W Hochadel. She was born Sep 1893 in Pennsylvania. Residence 1900 in Conneaut, Erie, Pennsylvania. Edward Hochadel. He was born 1876 in Pennsylvania. Residence 1880 in Connenaut, Erie, Pennsylvania, United States. Gertrude Hochadel. She was born 1879 in Pennsylvania. Residence 1880 in Connenaut, Erie, Pennsylvania, United States. Generation 3: Henry Thering and Christina Hochadel. They were married on 08 Jan 1857 in Erie County, New York. They had 6 children. Christina Hochadel-3 (Bernhard Hochadel-2, Unknown Hochadel-1). She was born Oct 1835 in Bavaria. Residence 1880 in Clarence, Erie, New York, United States. Henry Thering is the son of Gerhard Henrich Thering and Angela Soppe. He was born on 28 Oct 1833 in Prussia. Residence 1880 in Clarence, Erie, New York, United States. Libia Thering. She was born 1862 in New York. Residence 1880 in Clarence, Erie, New York, United States. Mary Thering. She was born 1864 in New York. Residence 1880 in Clarence, Erie, New York, United States. Henry M. Thering. He was born 1866 in Pennsylvania. Residence 1880 in Clarence, Erie, New York, United States. Rosa Thering. She was born 1868 in Pennsylvania. Residence 1880 in Clarence, Erie, New York, United States. Ben A. Thering. He was born 1870 in Pennsylvania. Residence 1880 in Clarence, Erie, New York, United States. William Thering. He was born 1875 in New York. Residence 1880 in Clarence, Erie, New York, United States. Mathias Hochadel-3 (Bernhard Hochadel-2, Unknown Hochadel-1)[17, 18, 19]. He was born Jun 1843 in Bavaria. Arrival 1849. Residence 1870 in Conneaut, Erie, Pennsylvania. Fannie Ehrman. She was born 1850 in Pennsylvania. Residence 1880 in Connenaut, Erie, Pennsylvania, United States. Joseph Hochadel. He was born 1868 in Conneaut, Erie, Pennsylvania. Residence 1880 in Connenaut, Erie, Pennsylvania, United States. Mary Hochadel. She was born 1869 in Conneaut, Erie, Pennsylvania. Residence 1880 in Connenaut, Erie, Pennsylvania, United States. Elizabeth Hochadel. She was born 1872 in Pennsylvania. Residence 1880 in Connenaut, Erie, Pennsylvania, United States. Margaret Hochadel. She was born 1874 in Pennsylvania. Residence 1880 in Connenaut, Erie, Pennsylvania, United States. Fannie Hochadel. She was born 1876 in Pennsylvania. Residence 1880 in Connenaut, Erie, Pennsylvania, United States. Rosa Hochadel. She was born 1878 in Pennsylvania. Residence 1880 in Connenaut, Erie, Pennsylvania, United States. Nora M Hochadel. She was born 1890 in Pennsylvania. Residence 1910 in Conneaut, Erie, Pennsylvania. Maude M Hochadel. She was born 1894 in Pennsylvania. Residence 1910 in Conneaut, Erie, Pennsylvania. Vera E Hochadel. She was born Aug 1888 in Pennsylvania. Residence 1900 in Conneaut, Erie, Pennsylvania. Generation 4: Matthias Kirchman and Rose Elizabeth Riegle. They were married on 15 Jan 1878. They had 8 children. Rose Elizabeth Riegle-4 (Magdalena Hochadel-3, Bernhard Hochadel-2, Unknown Hochadel-1). Her birth on 12 Jul 1861 (Clarence, Erie Co, NY). Residence 1880 in Lockport, Niagara, New York, United States. She died on 09 May 1938. Matthias Kirchman is the son of Nicholas Kirchmann and Thérèse Nussbaum. He was born on 18 Oct 1852 in Swormville, Erie Co, NY. Residence 1921 in 198 Saxton Street, Lockport, NY. He died on 27 May 1921. Occupation was after his vegetable cart overturned on railroad tracks in Lockport, he was run over by a wagon wheel and by a horse. He was a gardener, carrying tomato plants to his employer..
Genevieve Cecilia Kirkman. She was born on 28 Apr 1898 in Swormville, Erie Co, NY. She married William Jacob Crego. They were married on 30 Jan 1919 in St Joseph's Old Cathedral, Buffalo NY. Her death on 26 Aug 1983 (Lockport, Niagara Co NY). SSN Issued was New York. Jacob Kirchman[33, 24]. He was born Jan 1879 in New York[34, 33, 24]. Residence 1880 in Lockport, Niagara, New York, United States. Hubert Kirchman. He was born on 27 Jan 1882. Margaret S. Kirchman. She was born on 10 May 1886. Daniel J. Kirchman. He was born on 24 Sep 1892. Residence 1900 in Lockport, Niagara, New York. Frank E. Kirchman. Residence 1880 in Lockport, Niagara, New York, United States. He was born on 02 May 1880. Clara T. Kirchman. She was born on 19 Jan 1894. Ida Viola Kirchman. She was born on 24 Jun 1900. She married Carl Blackley. They were married on 08 Oct 1924. She died on 09 Jul 1964. Generation 4: Bernhard Casper Riegle and Ida Lucinda Yager. Their marriage on 18 Nov 1890 (Flint, Genesee Cty, Michigan). They had 10 children. Bernhard Casper Riegle-4 (Magdalena Hochadel-3, Bernhard Hochadel-2, Unknown Hochadel-1) [25, 26]. He was born on 26 Mar 1863 in Swormville, Erie Co, NY [26, 27, 28]. Christening on 09 Apr 1863 in Swormville, Erie Co, NY. Residence 1930 (Denver, Isabella Cty, MI). 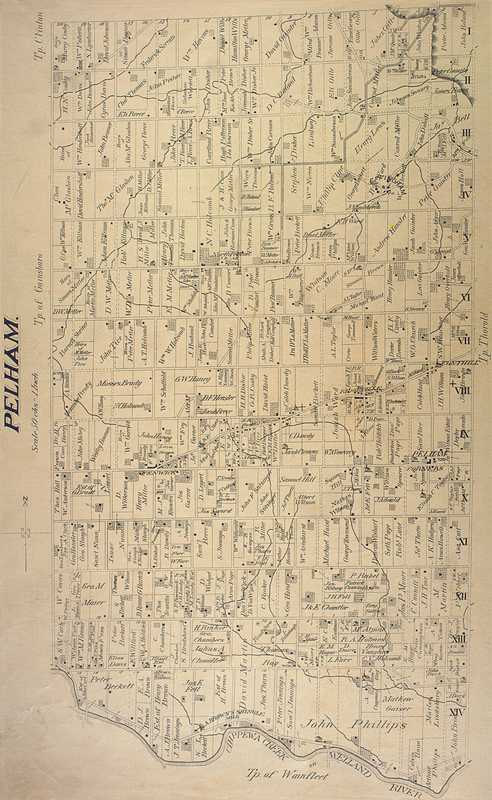 Census 1930 (Denver, Isabella Cty, MI). His death on 05 May 1944 (Coleman, Midland Cty, Michigan). Ida Lucinda Yager[25, 26, 27, 28]. 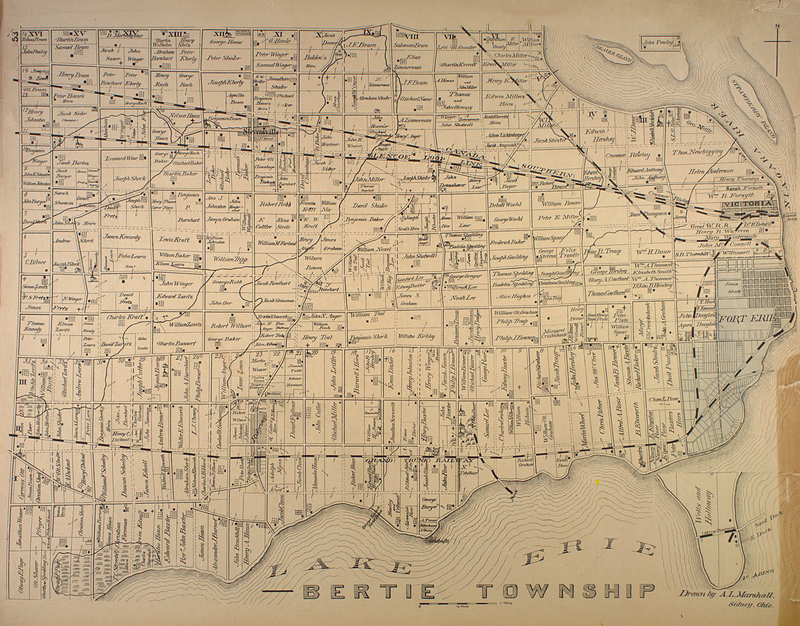 She was born on 02 Jun 1870 in Visper Township, Ontario, Canada[25, 26, 27, 28]. Arrival 1876 [26, 27]. Residence 1910 in Denver, Isabella, Michigan . She died on 01 Jun 1951 in Coleman, Michigan, USA. Leo Casper Riegle[25, 26, 27]. He was born on 14 May 1893 in Coleman, Michigan, USA[25, 26, 27]. Residence 1910 in Denver, Isabella, Michigan. He died on 26 Aug 1973. Oliver Bernard Riegle[25, 26, 27]. He was born on 05 Feb 1895 in Coleman, Michigan, USA[25, 26, 27]. Residence 1910 in Denver, Isabella, Michigan. He died on 25 Apr 1962. Edward Lorenzo Riegle[25, 26, 27]. He was born on 04 May 1897 in Beaverton, Michigan, USA[25, 26, 27]. Residence 1910 in Denver, Isabella, Michigan. He died on 28 Dec 1971. Albert Frederick Riegle. He was born on 02 Jan 1907 in Isabella, Michigan, USA. He died on 07 Nov 1972 in Saginaw, Michigan, USA. Eva Marie Riegle[26, 27]. She was born on 26 May 1900[26, 27]. Residence 1910 in Denver, Isabella, Michigan. Loretta Anna Riegle. She was born on 08 Mar 1904. Residence 1910 in Denver, Isabella, Michigan. Joseph H Riegle. He was born 1903 in Michigan. Residence 1910 in Denver, Isabella, Michigan. Jennetta J Riegle. She was born 1904 in Michigan. Residence 1910 in Denver, Isabella, Michigan. Albert F Riegle. He was born 1907 in Michigan. Residence 1910 in Denver, Isabella, Michigan. Manuel L Riegle. He was born 1909 in Michigan. Residence 1910 in Denver, Isabella, Michigan. Generation 4: Edward George Falk and Susan Riegle. They had 3 children. Susan Riegle-4 (Magdalena Hochadel-3, Bernhard Hochadel-2, Unknown Hochadel-1)[7, 29]. She was born Sep 1880 in New York[7, 29, 30]. Residence 1900 in Isabella, Isabella, Michigan[7, 29]. She died Bet. 1910–1920 in Michigan. Edward George Falk. He was born 1865 in New York. Residence 1910 in Isabella, Isabella, Michigan. Royal J. Falk. He was born 1900 in Michigan. Residence 1910 in Isabella, Isabella, Michigan. Raymond B. Falk. He was born 1905 in Michigan. Residence 1910 in Isabella, Isabella, Michigan. Ralph E. Falk. He was born 1908 in Michigan. Residence 1910 in Isabella, Isabella, Michigan. Generation 4: Charles B Hochadel and Mary. They had 2 children. Charles B Hochadel-4 (Casper Hochadel-3, Bernhard Hochadel-2, Unknown Hochadel-1)[13, 14]. He was born Nov 1887 in Pennsylvania[13, 14]. Residence 1910 in Conneaut, Erie, Pennsylvania. Charles Hochadel. He was born 1918 in Elgin, Erie, Pennsylvania. Francis Hochadel. She was born 1916 in Elgin, Erie, Pennsylvania. Generation 4: Matthias H Hochadel and Gertrude. They had 1 child. Matthias H Hochadel-4 (Casper Hochadel-3, Bernhard Hochadel-2, Unknown Hochadel-1)[13, 14]. He was born Jan 1885 in Pennsylvania. Residence 1910 in Conneaut, Erie, Pennsylvania. Generation 4: Frank Hochadel and Theresa. They had 3 children. Frank Hochadel-4 (Casper Hochadel-3, Bernhard Hochadel-2, Unknown Hochadel-1). He was born 1883 in Elgin, Erie, Pennsylvania. Theresa. She was born 1887. Anna Hochadel. She was born 1910. Florence Hochadel. She was born 1912. George Hochadel. He was born 1915. Generation 5: William Jacob Crego and Genevieve Cecilia Kirkman. They were married on 30 Jan 1919 in St Joseph's Old Cathedral, Buffalo NY. They had 8 children. Genevieve Cecilia Kirkman-5 (Rose Elizabeth Riegle-4, Magdalena Hochadel-3, Bernhard Hochadel-2, Unknown Hochadel-1). She was born on 28 Apr 1898 in Swormville, Erie Co, NY . Her death on 26 Aug 1983 (Lockport, Niagara Co NY) . SSN Issued was New York . William Jacob Crego is the son of Frank Crego and Ernestine Augustine Wilhelmina Damerow[37, 38, 39]. His birth on 07 Jul 1894 (NY) [37, 38, 39]. Residence 1930 in Lockport, Niagara, New York . Occupation 1930 (Policeman - Lockport Police Dept). His death on 06 Feb 1990 (Lockport, Niagara Co NY). SSN Issued was New York. Virginia Rose Crego. Her birth on 09 Feb 1922 (Lockport, Niagara Co NY). Burial 1988 in Cold Springs Cemetery, Lockport NY. Her death on 03 Oct 1988 (Lockport, Niagara Co NY). William Jacob Crego Jr. His birth on 03 Jul 1925 (Lockport, Niagara Co NY). He married Mary Suchetzky. They were married on 09 May 1953. Burial 1992 in Cold Springs Cemetery, Lockport NY. His death on 02 Aug 1992 (Lockport, Niagara Co NY). Charles Roy Crego. His birth on 10 Feb 1928 (Lockport, Niagara Co NY). His death on 17 Jun 1979 (Lockport, Niagara Co NY). Frank E Crego. His birth on 08 Jan 1930 (Lockport, Niagara Co NY). Military Service 1952 (Korean Conflict, killed in action). He died on 05 Sep 1952 in Korea. Awarded in Purple Hearts. Ruth Crego. Her birth on 16 Nov 1933 (Lockport, Niagara Co NY). She married Donald Ruberto. Their marriage on 07 Sep 1957 (Lockport, Niagara Co, NY). Mary Jane Crego. Her birth on 13 Jun 1935 (Lockport, Niagara Co, NY). She married Herbert Elmer Walker. They were married on 04 Dec 1981. Carol Anne Crego. Her birth on 24 May 1939 (Lockport, Niagara Co NY). She married Duane George Jones. Their marriage on 10 Oct 1960 (Lockport, Niagara Co, NY). Flora Grace Crego. Her birth on 10 May 1920 (Lockport, Niagara Co NY). Her death on 19 May 1920 (Lockport, Niagara Co NY). Generation 5:Jacob Kirchman and Mary R Kirkman. They had 2 children. Jacob Kirchman-5 (Rose Elizabeth Riegle-4, Magdalena Hochadel-3, Bernhard Hochadel-2, Unknown Hochadel-1)[33, 24]. He was born Jan 1879 in New York[34, 33, 24]. Residence 1880 in Lockport, Niagara, New York, United States. Mary R Kirkman[33, 41]. She was born 1882 in New York[33, 41]. Residence 1920 in Lockport Ward 4, Niagara, New York. Isabell B Kirkman. She was born 1904 in New York. Residence 1920 in Lockport Ward 4, Niagara, New York. Claire L Kirkman[33, 41]. He was born 1916 in New York[33, 41]. Residence 1920 in Lockport Ward 4, Niagara, New York. Public Member Trees (Provo, UT, USA, The Generations Network, Inc., 2006), www.ancestry.com, Database online. Record for Elizabeth Hochadel. 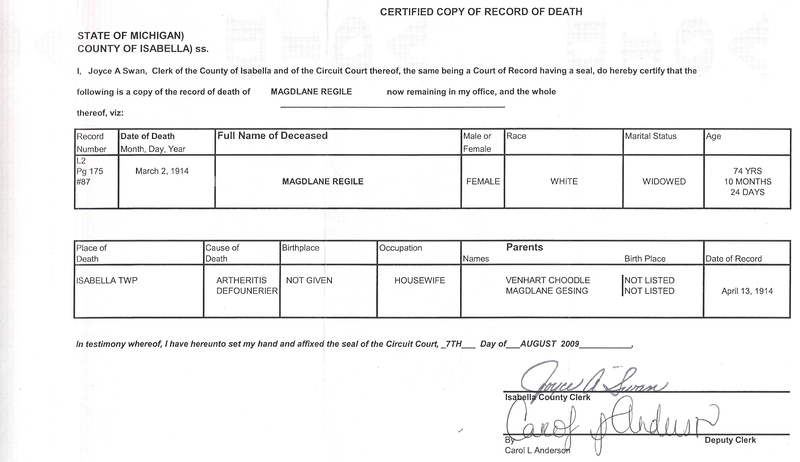 Death Certificate - Magdalena Riegle - Isabella Michigan. 1900 United States Federal Census (Provo, UT, USA, The Generations Network, Inc., 2004), www.ancestry.com, Database online. Lockport Ward 1, Niagara, New York, ED , roll , page. Record for Joseph Hocatel. Will of Bernhard Hochadel Feb 4 1879, Erie County Surrogate Court. 1860 United States Federal Census (Provo, UT, USA, The Generations Network, Inc., 2004), www.ancestry.com, Database online. Clarence, Erie, New York, post office Clarence, roll M653_750, page 389, image 129. Record for Magdalena Hghedale. 1860 United States Federal Census (Provo, UT, USA, The Generations Network, Inc., 2004), www.ancestry.com, Database online. Clarence, Erie, New York, post office Clarence, roll M653_750, page 404, image 144. Record for Brnhart Hgendale. 1900 United States Federal Census (Provo, UT, USA, The Generations Network, Inc., 2004), www.ancestry.com, Database online. Isabella, Isabella, Michigan, ED , roll , page. Record for Jacob Reigles. 1880 United States Federal Census (Provo, UT, USA, The Generations Network, Inc., 2005), www.ancestry.com, Database online. Clarence, Erie, New York, ED 84, roll T9_826, page 190.3000, image 0506. Record for Jacob Riegle. 1910 United States Federal Census (Provo, UT, USA, The Generations Network, Inc., 2006), www.ancestry.com, Database online. 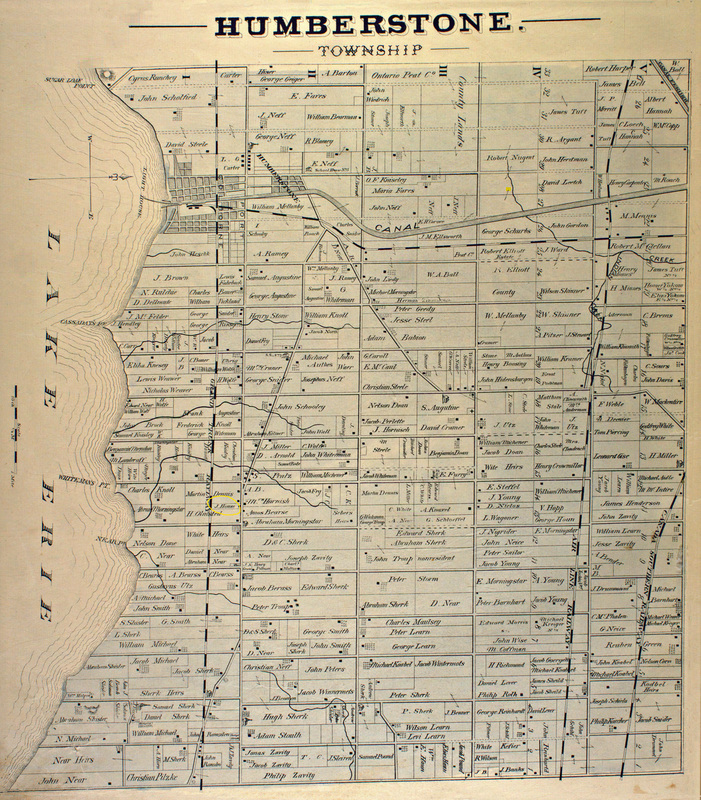 Lockport Ward 4, Niagara, New York, ED , roll T624_1049, part , page. Record for Joseph Hochadel. 1870 United States Federal Census (Provo, UT, USA, The Generations Network, Inc., 2003), www.ancestry.com, Database online. Clarence, Erie, New York, post office Clarence Center, roll 930, page 56, image 113. Record for Clarra Hobardel. 1880 United States Federal Census (Provo, UT, USA, The Generations Network, Inc., 2005), www.ancestry.com, Database online. Amherst, Erie, New York, ED 78, roll T9_826, page 51.3000, image 0228. Record for Joseph Tatu. Ancestry.com, 1920 United States Federal Census (Provo, UT, USA, The Generations Network, Inc., 2005), www.ancestry.com, Database online. Elgin, Erie, Pennsylvania, ED , roll , page , image 93 Record for Casper Hochadel. 1910 United States Federal Census (Provo, UT, USA, The Generations Network, Inc., 2006), www.ancestry.com, Database online. Conneaut, Erie, Pennsylvania, ED , roll T624_1341, part , page. Record for Casper Hochadel. 1900 United States Federal Census (Provo, UT, USA, The Generations Network, Inc., 2004), www.ancestry.com, Database online. 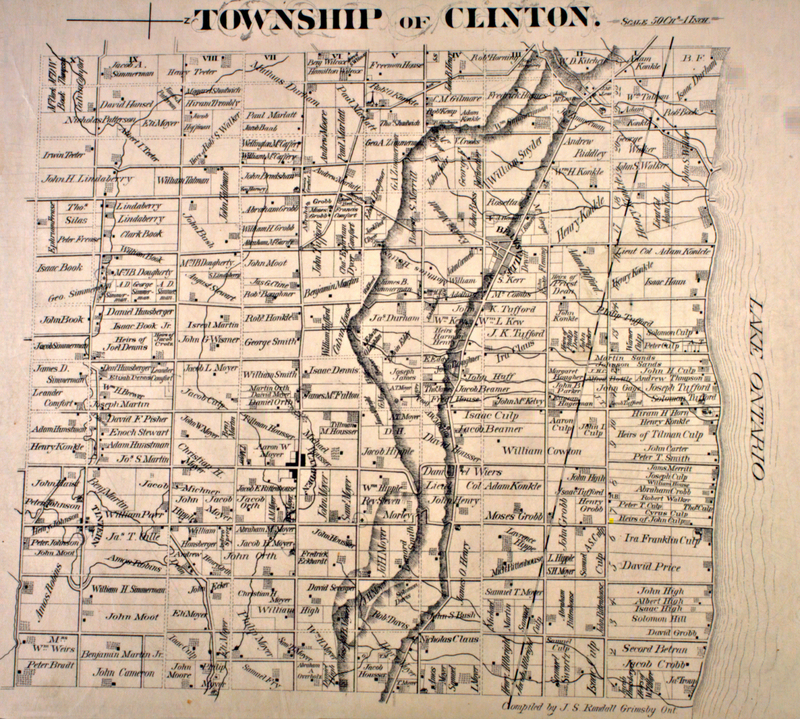 Conneaut, Erie, Pennsylvania, ED , roll , page. Record for Casper Hochadel. 1880 United States Federal Census (Provo, UT, USA, The Generations Network, Inc., 2005), www.ancestry.com, Database online. Connenaut, Erie, Pennsylvania, ED 144, roll T9_1127, page 90.2000, image 0184. Record for Casper Hochadel. 1880 United States Federal Census (Provo, UT, USA, The Generations Network, Inc., 2005), www.ancestry.com, Database online. Clarence, Erie, New York, ED 84, roll T9_826, page 194.3000, image 0514. Record for Henry Thering. 1870 United States Federal Census (Provo, UT, USA, The Generations Network, Inc., 2003), www.ancestry.com, Database online. Conneaut, Erie, Pennsylvania, post office Albion, roll 1339, page 150, image 82. Record for Methias Hochadel. 1880 United States Federal Census (Provo, UT, USA, The Generations Network, Inc., 2005), www.ancestry.com, Database online. Connenaut, Erie, Pennsylvania, ED 144, roll T9_1127, page 90.2000, image 0184. Record for Mathias Hochadel. 1900 United States Federal Census (Provo, UT, USA, The Generations Network, Inc., 2004), www.ancestry.com, Database online. Conneaut, Erie, Pennsylvania, ED , roll , page. Record for Mathias Hochadel. 1910 United States Federal Census (Provo, UT, USA, The Generations Network, Inc., 2006), www.ancestry.com, Database online. Conneaut, Erie, Pennsylvania, ED , roll T624_1341, part , page. Record for Matthias Hochadel. 1850 United States Federal Census (Provo, UT, USA, The Generations Network, Inc., 2005), www.ancestry.com, Database online. Clarence, Erie, New York, roll M432_500, page 149, image 93 Record for Jacob Riegle. 1870 United States Federal Census (Provo, UT, USA, The Generations Network, Inc., 2003), www.ancestry.com, Database online. Clarence, Erie, New York, post office Clarence Center, roll 930, page 67, image 136. Record for Jacob Riegle. Ancestry.com, OneWorldTree (Provo, UT, USA, The Generations Network, Inc.), www.ancestry.com, Database online. Record for Jacob Riegle. 1880 United States Federal Census (Provo, UT, USA, The Generations Network, Inc., 2005), www.ancestry.com, Database online. Lockport, Niagara, New York, ED 182, roll T9_900, page 120.2000, image 0606. Record for Matthias Kirkmann. Ancestry.com, OneWorldTree (Provo, UT, USA, The Generations Network, Inc.), www.ancestry.com, Database online. Record for Bernard Casper Riegle. 1910 United States Federal Census (Provo, UT, USA, The Generations Network, Inc., 2006), www.ancestry.com, Database online. Denver, Isabella, Michigan, ED , roll T624_652, part , page. Record for Bernard C Ruyle. 1900 United States Federal Census (Provo, UT, USA, The Generations Network, Inc., 2004), www.ancestry.com, Database online. Isabella, Isabella, Michigan, ED , roll , page. Record for Benjamin Reigle. Ancestry.com, 1930 United States Federal Census (Provo, UT, USA, The Generations Network, Inc., 2002), www.ancestry.com, Database online. Denver, Isabella, Michigan, ED 8, roll 995, page , image 32.0. Record for Bernard C Riegle. 1900 United States Federal Census (Provo, UT, USA, The Generations Network, Inc., 2004), www.ancestry.com, Database online. Isabella, Isabella, Michigan, ED , roll , page. Record for Susan Reigles. 1910 United States Federal Census (Provo, UT, USA, The Generations Network, Inc., 2006), www.ancestry.com, Database online. Isabella, Isabella, Michigan, ED , roll T624_652, part , page. Record for J Susan Falk. Ancestry.com, 1930 United States Federal Census (Provo, UT, USA, The Generations Network, Inc., 2002), www.ancestry.com, Database online. Conneaut, Erie, Pennsylvania, ED 5, roll 2035, page , image 252.0. Record for Jennie Hochadel. 1900 United States Federal Census (Provo, UT, USA, The Generations Network, Inc., 2004), www.ancestry.com, Database online. Lockport, Niagara, New York, ED , roll , page. Record for Jacob Kirkman. 1880 United States Federal Census (Provo, UT, USA, The Generations Network, Inc., 2005), www.ancestry.com, Database online. Lockport, Niagara, New York, ED 182, roll T9_900, page 120.2000, image 0606. Record for Jacob Kirkmann. 1900 United States Federal Census (Provo, UT, USA, The Generations Network, Inc., 2004), www.ancestry.com, Database online. 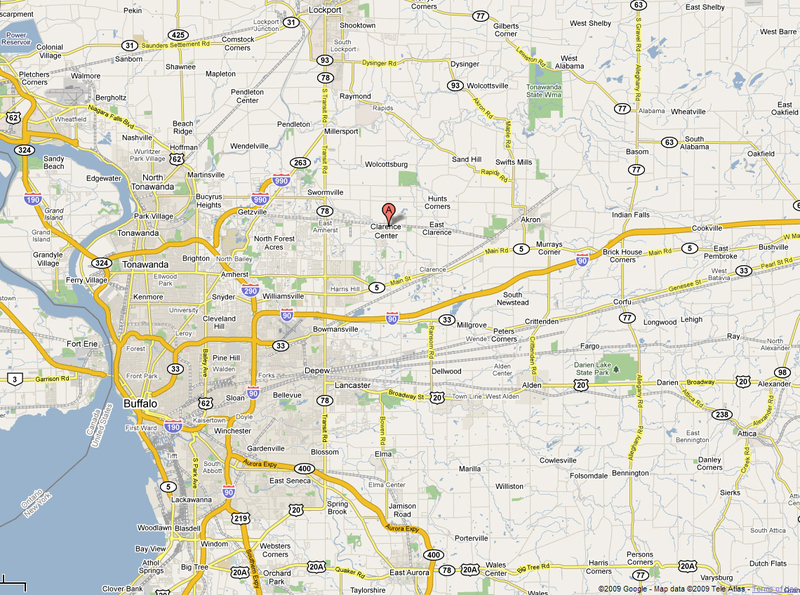 Lockport, Niagara, New York, ED , roll , page. Record for Daniel Kirkman. Ancestry.com, World War I Draft Registration Cards, 1917-1918 (Provo, UT, USA, The Generations Network, Inc., 2005), www.ancestry.com, Database online. Roll 1818601, DraftBoard 1. Record for William J Crego. Ancestry.com, Social Security Death Index (Provo, UT, USA, The Generations Network, Inc., 2008), www.ancestry.com, Database online. Record for William J. Crego. Ancestry.com, 1930 United States Federal Census (Provo, UT, USA, The Generations Network, Inc., 2002), www.ancestry.com, Database online. 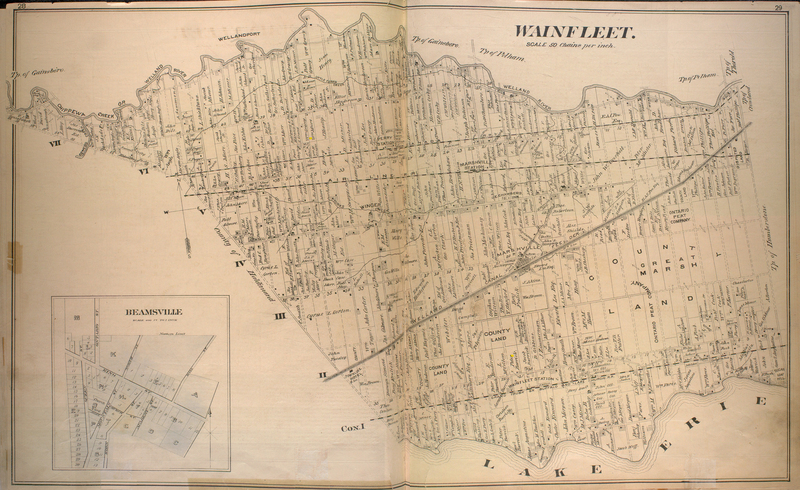 Lockport, Niagara, New York, ED 18, roll 1617, page , image 374.0. Record for Frank Crego. Ancestry.com, Social Security Death Index (Provo, UT, USA, The Generations Network, Inc., 2008), www.ancestry.com, Database online. Record for Virginia R. Crego.